Wardrobe in the bedroom with mirror and ample space is very necessary. 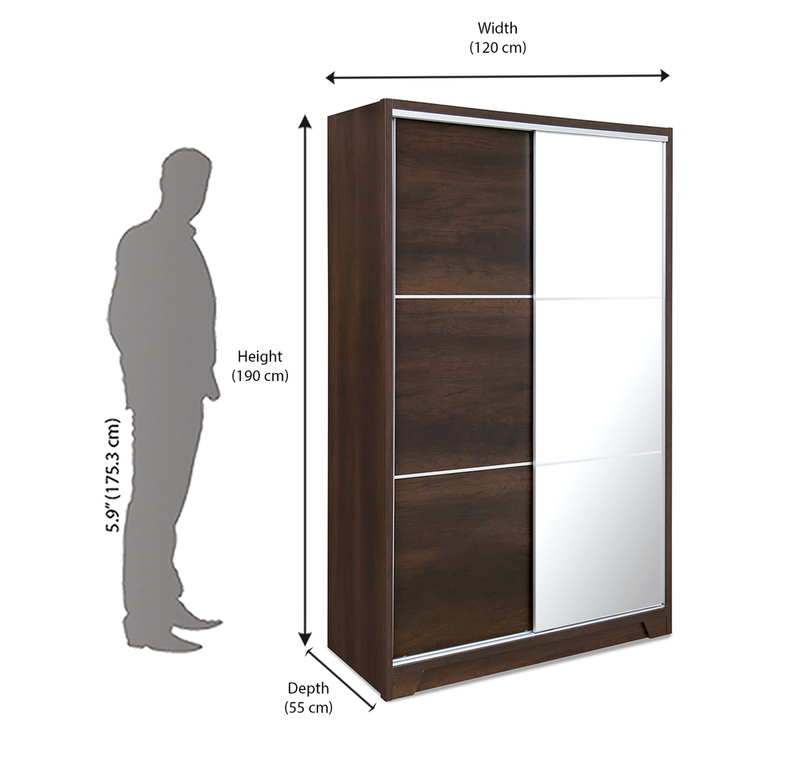 Nilkamal brings a compact medium sliding wardrobe with the brand name called Emmette. This is a home product by nilkamal which is specially designed for the use of nuclear family. Multiple storage capacity, 1 locker with keys, mirror at the front and standard height for iron clothes placement. However, the door panels of the wardrobe are made up pre-laminated particle board. MDF board is also used at the surface and back of the wardrobe. The mirror is thick enough and hooked with strong adhesive in the front slide. Entire finish of the wardrobe is known as melamine that gives a luxurious look to the furniture. Plenty open shelves are very useful for keeping iron clothes, accessories, and other utility products. Enough storage is offered in best value by @ home nilkamal brand for those who look for easy and quick furniture options online. The slides are used so that you can save space in the room and open on both the ends without any difficulty. Durable yet spacious is the definition given to the Emmette medium sliding wardrobe. Hence, dark walnut color is suitable for all type of furniture you already have in the bedroom. It compliments each and every decoration in the bedroom.